Aloe's wound healing effect has been well known for a long time and even now, Pure Aloe gel can be used for effectively taking care of skin and hair. 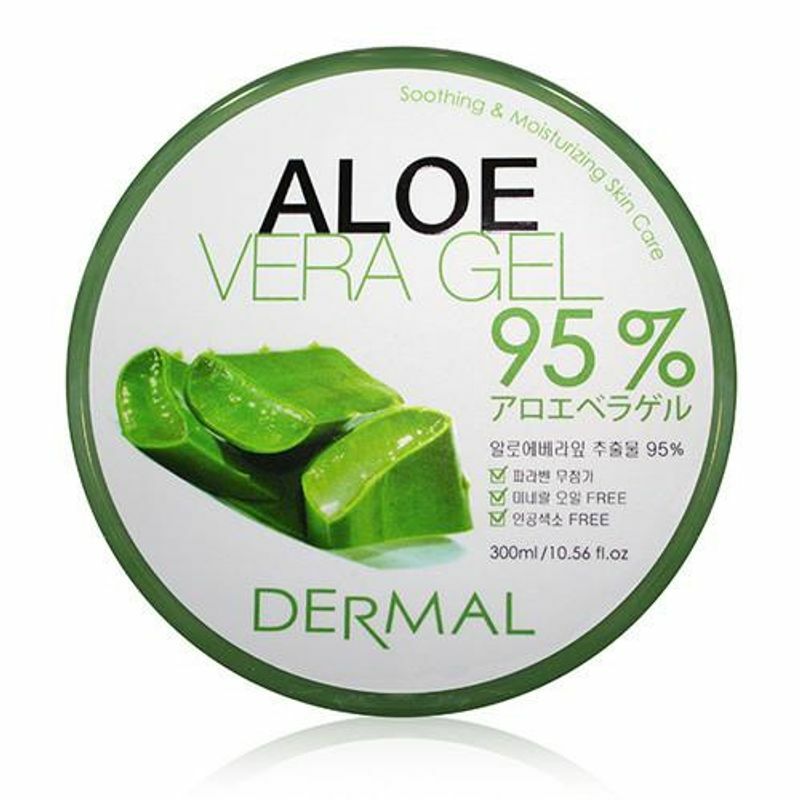 Dermal Korea's 95% Aloe Vera Leaf Extract can be used for moisturising face, can be used as a face pack when you want to calm your fatigued skin. You can use it as a hair treatment for damaged hair or as an eye pack to provide moisture to fine wrinkles around the eye. You can use it to nourish and hydrate your skin and keep it soft and supple. Explore the entire range of Face Moisturizer & Day Cream available on Nykaa. Shop more Dermal products here.You can browse through the complete world of Dermal Face Moisturizer & Day Cream .